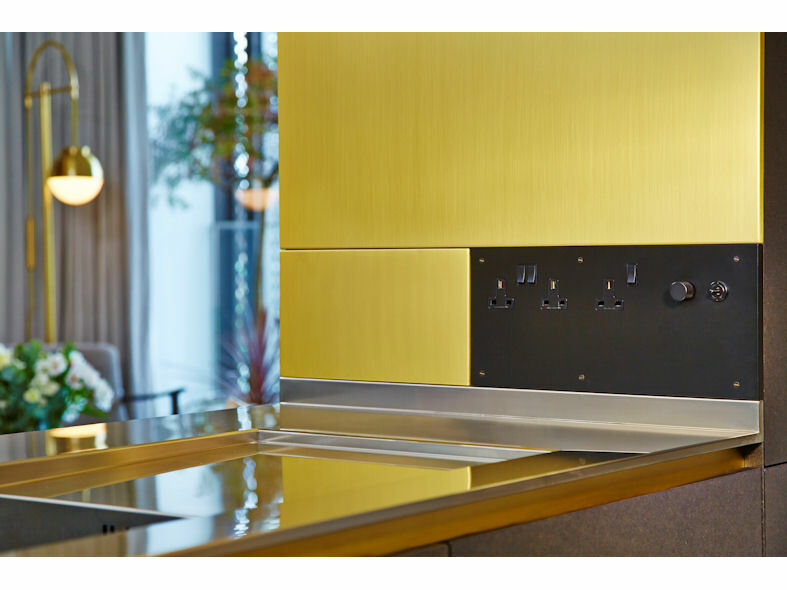 Wandsworth Electrical have created and manufactured a bespoke collection of electrical accessories for London development; Gasholders. 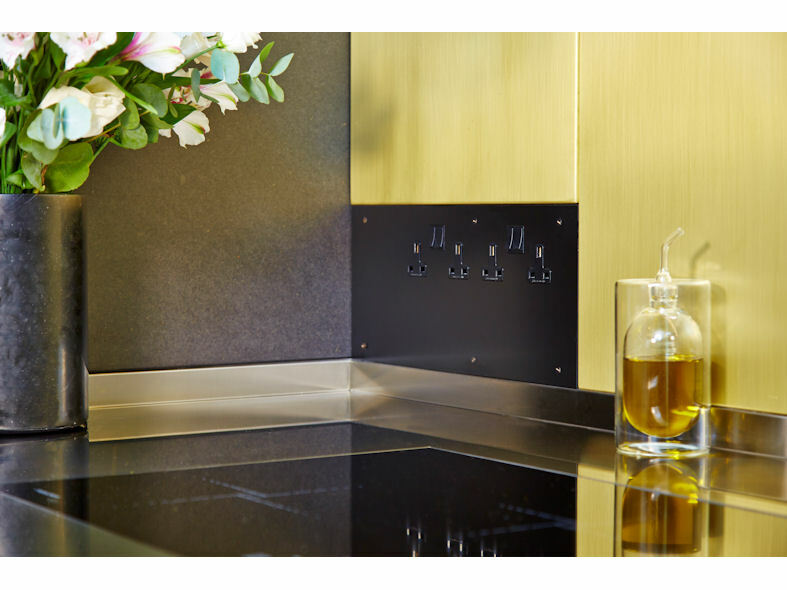 A tumbled brass finished designer socket that elegantly sits alongside brass door furniture. 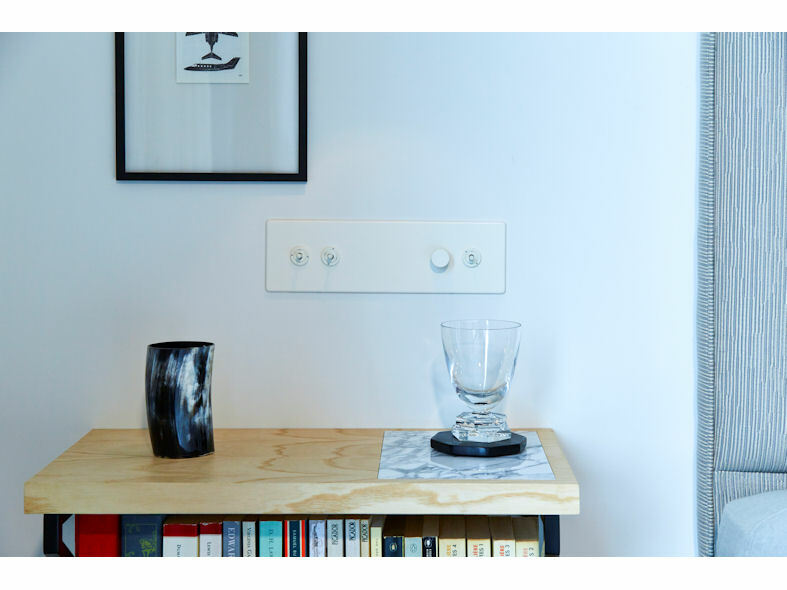 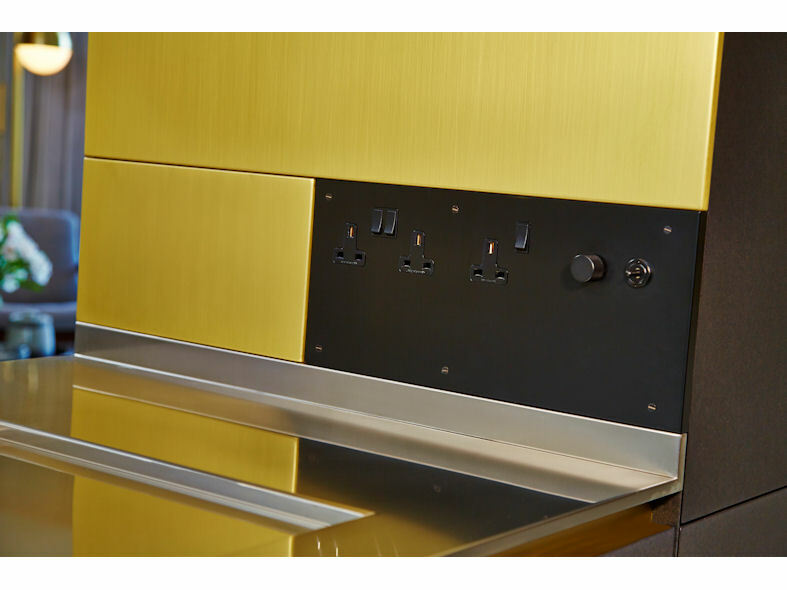 The bespoke light switch design has three toggles and one dimmer with a black ring around one of the toggles to inform residents that this one controls the blinds. 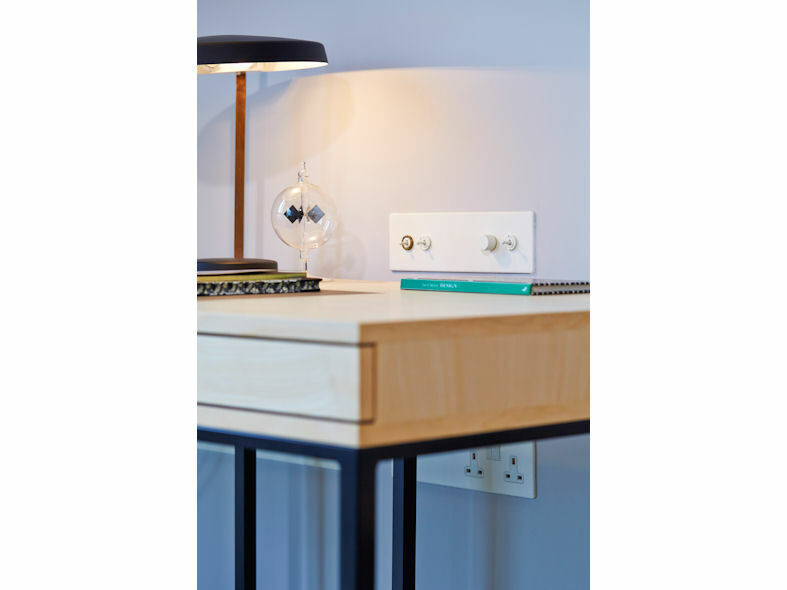 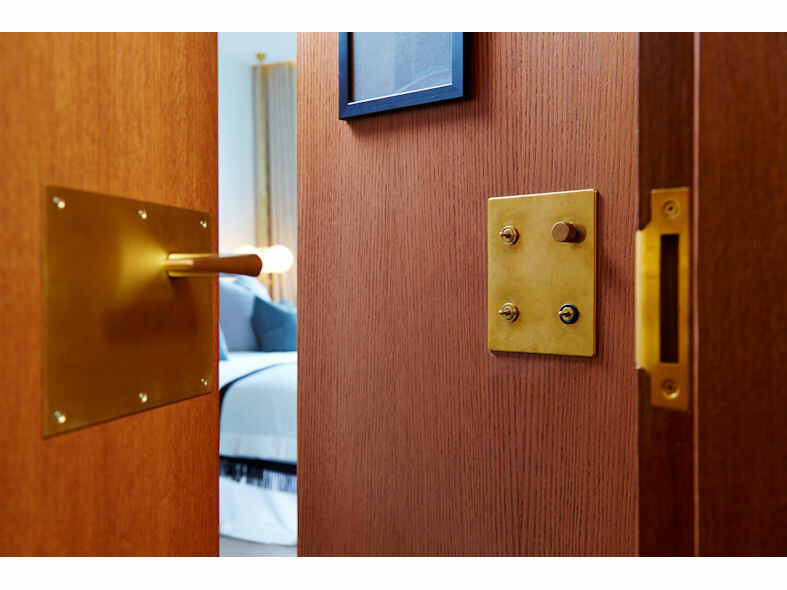 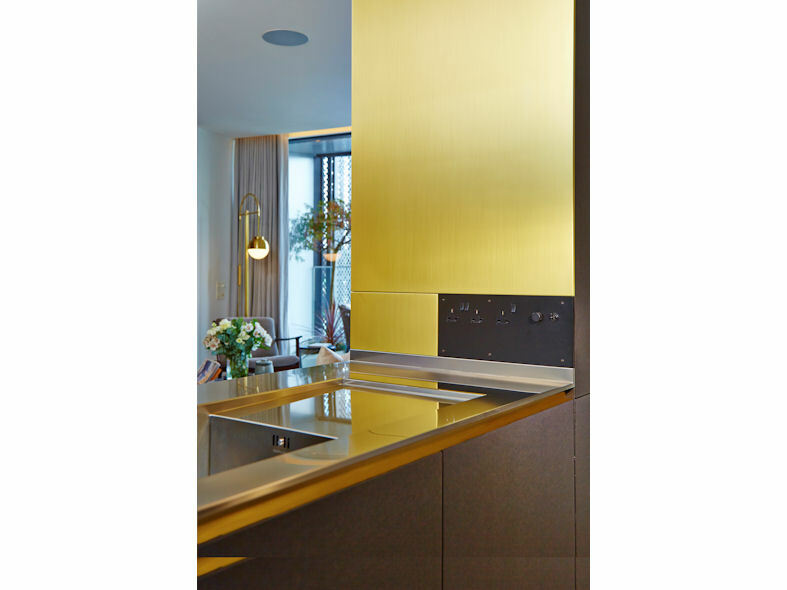 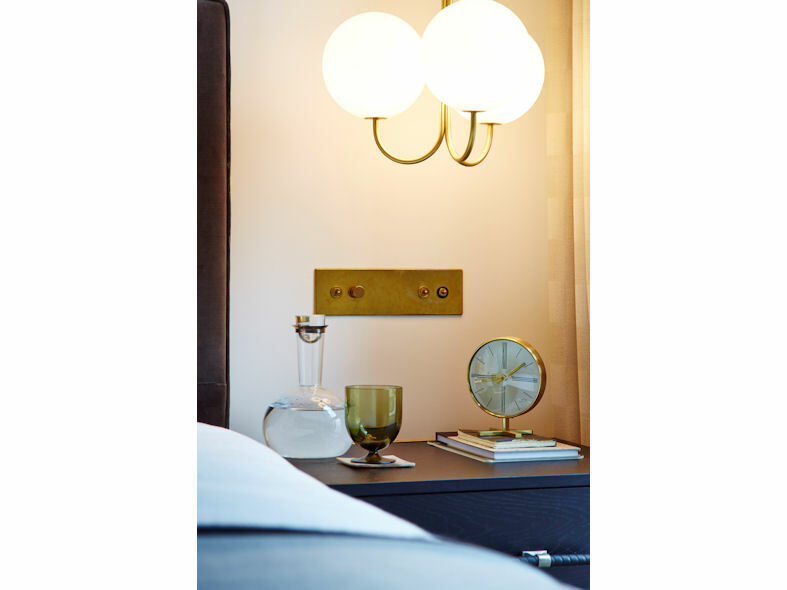 The bespoke designed matt white light switch blends in beautifully with the white rooms, and have just one unique simple stand out feature: a brass ring, to indicate the blind control.